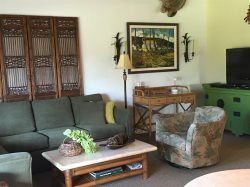 Seaside Vacation Condos specializes in renting condos at Maui Kamaole in Kihei, Maui. We currently offer a two bedroom condominium at this beautiful location and have access to other units as well. The easiest method of contact is by email to [email protected] If you'd like to reach us by phone the number in Oregon is 503-440-2097.